For better and for worse, the 2009 U.S. Open will be unforgettable on the ladies’ side for a multitude of reasons. Firstly, there was an unprecedented number of top seeds who stumbled in the early rounds. Secondly, the wackiness of the weather on the last weekend. Thirdly, 2005 champ Kim Clijsters’ remarkable run to the finals after a two year absence from the sport. Fourthly, Caroline Wozniacki becoming the first Danish player to reach the finals at a major. Lastly and lamentably, for what can only be labeled as ‘Serena Gate’. The incident- Improbable that anyone watching missed it. However, here’s a recap of the events which resulted in Serena Williams being defaulted, costing her the match. After dropping serve in the first set which led to Clijsters capturing it, Serena smashed her racket and was given a code violation warning. Later, Williams facing double break point, which were also match points, was called for a foot fault. This prompted a diatribe by Serena including the statement that she would “shove the f****** ball down [the line person’s] throat”. So in accordance to the rules, the chair umpire awarded her a point penalty which left a bitter note since it was match point for Clijsters. Irrespective of the line person being right or wrong, Serena’s behavior was out of bounds. Serena is not Venus, nor vice versa– Other than Kim, the person who deserves the most sympathy is Venus Williams because this circumstance may mark her career. Ever since their arrival on the tennis scene, these sisters have often been regarded as a singular entity. Their playing doubles at times does not help the matter. The peculiar part is that they are not even twins. At least if this were the case, it would be justified. Yet, people still view Bob and Mike Bryan as individuals. Sometimes, it’s forgotten that these siblings have divergent personalities. With that being said, it’s highly unlikely had the tables been reversed that Venus would have reacted in such a fashion. Therefore, in a small corner of Serena’s mind, she must be hoping that none of this stain sticks to her big sister’s tennis shoes. Kids & Role Models-Whether parents like or not, many athletes have assumed the position of idols in their children’s eyes. 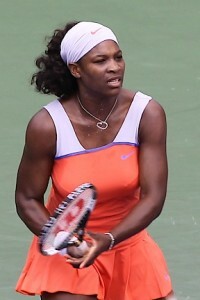 Serena’s sorrowful outburst was certainly witnessed by tons of partisans. For mothers and fathers this is the perfect opportunity to reinforce to their offspring that this sort of behavior is not to be emulated. Moreover, that they should select tangible persons in their lives, their own parents, uncle Charlie or cousin Jane if their comportment is exemplary as their true heroes or heroines. Even John McEnroe, whom Serena cited as an idol at her press conference, known for his over the top conduct in his heydays stated he “could not defend the indefensible”. I suppose with age comes wisdom. Hopefully, Serena’s future possess the same pearl. After Roger Federer’s gut wrenching loss in the Wimbledon final last year, I felt obligated to impart on him some words of wisdom. This year, Andy Roddick was the one to draw the short straw in one of the most mesmerizing major matches ever. Deluded as it may seem, I would like to believe that my advice has contributed in some minute form to the success that Federer has been basking in of late. 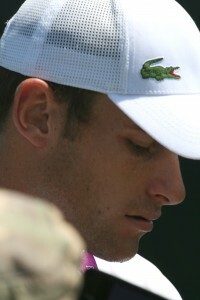 Considering that Roddick is a compatriot, I feel bound to take a crack at pushing him in the right direction. I hope you don’t regard it as disrespectful the liberty that I am taking in referring to you on a first name basis. After all, I have followed your career for many years and for that reason I feel a kinship on some level. I must confess though that through your nine years on the ATP, our relationship has been tepid. After making a big splash at U.S. Open in 2003, your results at the majors have been spastic. Disappointments after disappointments have caused me with time to consider you, as the Spanish maxim goes, ‘as a zero to the left’. From my viewpoint, a revolving door of coaches indicated that you were unwilling to listen to the counsel of others. As such, this left me doubting as to your capability of ever becoming champion at a major. Your performance a couple of weeks back at Wimbledon demonstrated your desire to succeed is still great and it not only reenergized your fans but gained you some new ones. Effort has never been one of your faults. Although in the past, your game has lacked focus. In hiring Larry Stefanki and heeding his advice, you have retooled your game and developed other weapons to back up your powerful serve. 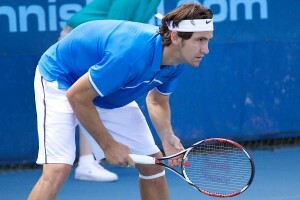 Your forehand has always been solid and your play at net adequate. However, by strengthening and reinventing your backhand crosscourt and down the line, some of your strokes were purely sublime, you showed that your game can still evolve. More importantly, you revealed in the finals that you are a thinker on the court in choosing the most intelligent shots. You took risks when the situation warranted it, while restraining yourself. In the past panic may have ambushed your decision making. Federer may have gained his record 15th major, but you gave him a fight to remember. Complements at this time may appear hollow and shallow since you don’t have the Wimbledon trophy on your mantle. Whilst, it may be healthy to reflect on what could have been, the worse thing you can do is dwell. For many seasons, you have walked through the draw with others expecting very little from you. I would like to think that in the long run, this match will leave a positive influence. As such, perhaps, the sanest approach is to regard this year as one of rehabilitation. So keep working at it Andy, your major will come. For as long as I live, when I think of the red clay at Roland Garros, the picture that will always come to mind is that of Brazilian Gustavo Kuerten tracing the contours of a heart on the ground after his grueling five sets win over Swede Magnus Norman in the 2000 French Open final. Bar none, clay is the most demanding surface to play on. The points can be endless. A men’s three set match can last longer than three hours. Thus, that type of court can exact a significant mental and physical price. Ironically though, clay is much gentler on the body than a hard court where joints can be prone to injury. Despite the clay presenting some significant health benefits, the list of players who excel on that specific turf is far shorter than that of those who perform well on hard court. Therefore, the question must be posed as to the source of this disconnection. One explanation may be the competitors’ lack of familiarity with the surface. The majority of Americans and non- Iberian Europeans nowadays grow up playing on concrete. Red clay practice courts and tournaments have become a rarity in the U.S. Currently, the ladies have a choice of either Charleston or Jacksonville; many have characterized both as “simulated clay”. Players have described the green surface as a hard court dusted with clay which makes their movement feel awkward. For the men, their only option is the U.S. Clay Court Championships in Houston. Although it is more suitable than what’s available to the women, in many respects it falls short of the necessary requisite to offer a full fledge European red clay experience. Over the years, politics and sports have intersected many times. Perhaps the most infamous example is the 1972 Munich Olympics, when Israeli athletes were taken hostage by Palestinian radicals and subsequently killed in a rescue attempt. With tennis becoming more internationalized, these lines were destined to meet. At the Australian Open this year, while Serb Novak Djokovic and Bosnian-American Amer Delic applauded each other’s superb shots and cordially shook hands after the match. Their fans had a brawl outside the stadium which had to be interrupted by police and led to a couple of people requiring medical attention. Now, this past week, Shahar Peer, an Israeli female player, was prohibited entry into the United Arab Emirates (UAE) for the Dubai tournament for which she automatically qualified by virtue of her ranking. Since 2000, schedule permitting, I have been a faithful and fervent attendee at my hometown tournament in Key Biscayne, Florida. Yet, as a devout tennis fanatic, my wish has always been to make a pilgrimage to one of the shrines of the sport, a major. In my mind, there has always been the perception that I was being deprived of an ecclesiastical experience by not going to New York, London, Paris or Melbourne. As luck would have it, in 2006 and 2007, I ascended from the category of lowly television viewer to that of obscured spectator when I was finally able to drink in the atmosphere at the U.S Open. After spending five days at the opening round matches in New York the last couple of years and a week at this year’s Sony Ericsson, I began to view the latter through a new lens. 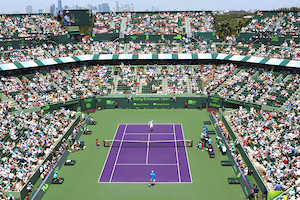 As I surveyed the familiar vista at Crandon Park, the prism through which I evaluated the tournament was suddenly lifted. 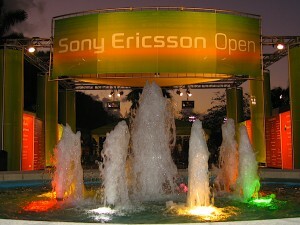 Moreover, I arrived at the realization that the Sony Ericsson Open is truly a jewel in my own backyard. Manhattan’s bright lights and vibrant streets are comparable to an impish, unruly child with the magnetic powers to draw one in with a cunning smile. A similar attraction lures one in at the U.S. Open. On the subway, I was overcome by a wave of exhilaration from the chatter of the passengers whose destination, just as mine, was the major’s site. As the train approached the tennis center and the Arthur Ashe stadium came into view, a touch of awe and anxiety intermingled as I became conscious of the magnitude of the place. These sentiments were further accentuated as the grounds crew greeted me with their megaphones shouting instructions such as, “no backpacks allowed into the stadium”. Or as I filed through the long security lines that stretch for miles and saw my precious can of juice seized since opaque containers were prohibited entry. 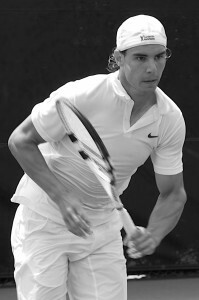 The shear volume of people, over 700,000 attended the tournament in 2007, and the additional security measures implemented after the catastrophic incident at the Twin Towers signify that one has to be willing to tolerate these inconveniences in order to experience the U.S. Open.